To live at Pavilions is to experience the rich and colourful tapestry of life in all its shades and shapes. A life where there’s time and a place for the things that really matter. Friends and family; being fit, healthy and happy; chasing a dream. Sydney Olympic Park is a place steeped in history yet focused on a brighter future where the scales are evenly set to balance living, working and playing. 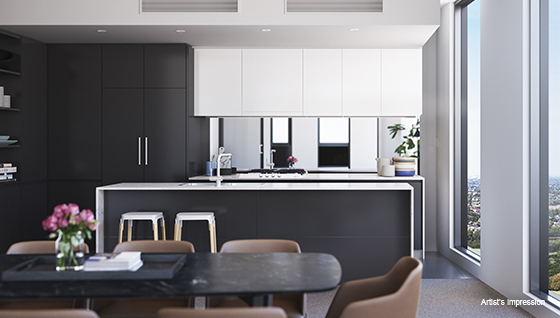 At Sydney Olympic Park the standards are set high with design excellence a prerequisite for all new buildings. Pavilions’ competition winning design by internationally renowned BVN Architects, in collaboration with Mirvac Design, lends a dramatic sculptural quality to the architecture, softened by the abundant use of natural materials. 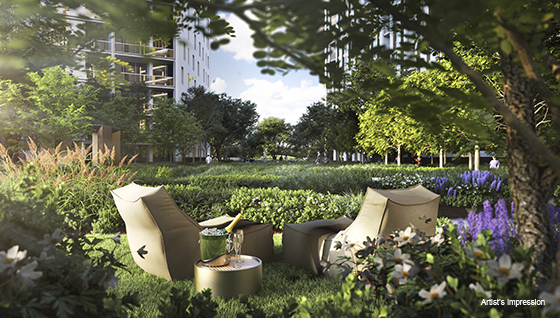 Buildings band around a 4,000sqm courtyard offering a tapestry of green spaces for outdoor dining, playing games, walking the dog or just relaxing on a lush lawn beneath a shady tree. There’s a gymnasium for the exclusive use of residents as well as a community room and children’s play area with the proposed Linear Park right next door for more active pursuits.